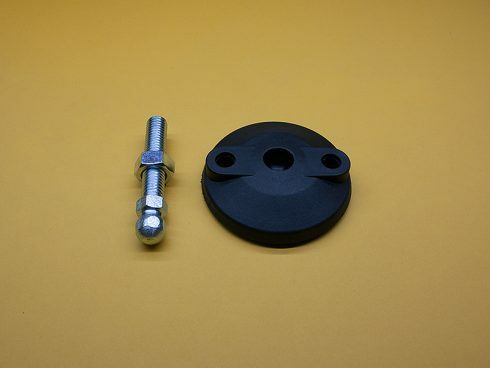 45 Series Black Nylon Large Base Leveller, M12 x 55mm stud, TNUTZ Part #LF-045-A. 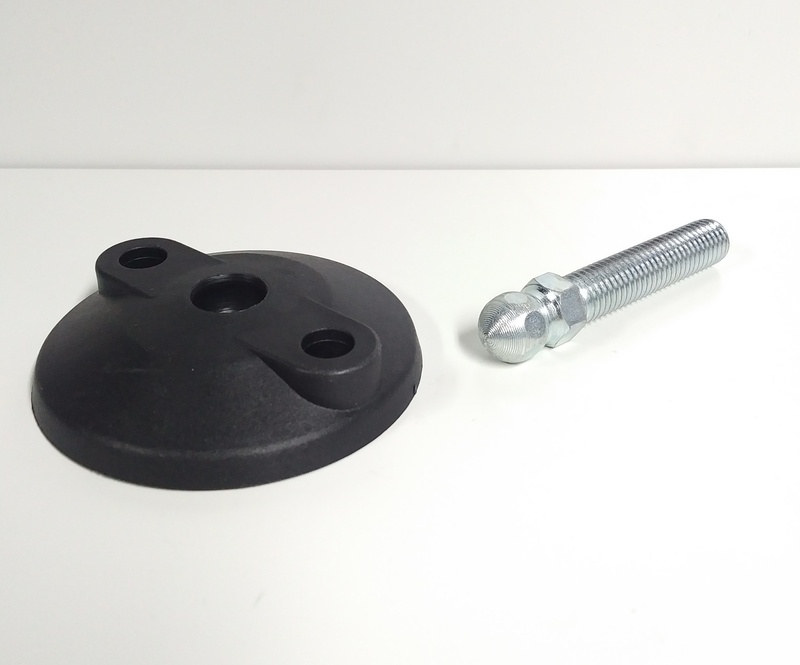 45 Series Black Nylon Large Base Leveller, M12 x 55mm stud, TNUTZ Part #LF-045-A. GREAT DEAL!! The Large Ø80mm Nylon Base comes with 2 mounting holes to secure the base to the floor if needed, and an anti-vibration rubber pad. 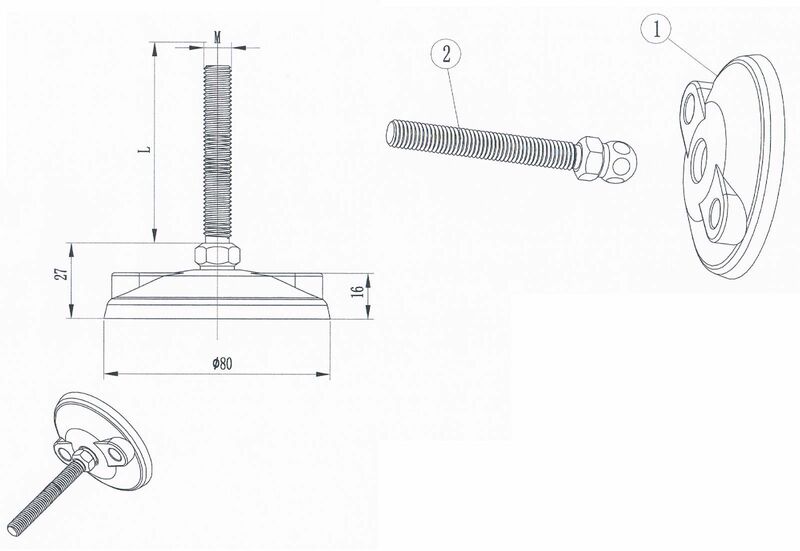 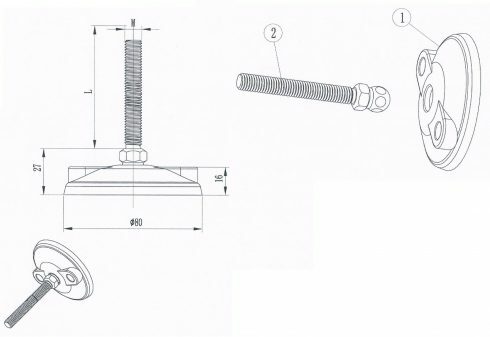 The M12 x 55mm threaded rod is also included in the assembly.